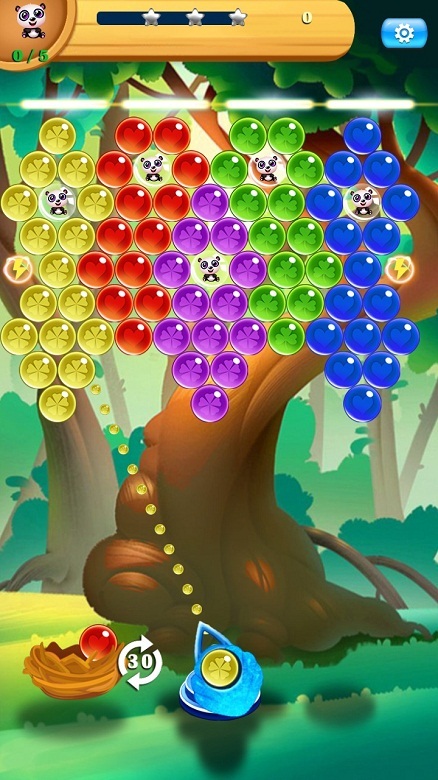 Panda Bubble Shooter is puzzle game completely free to play ,also it is easy to control ,just pop or shoot a bubble to the the same color bubbles, they will blast. Features:- 1. Fresh graphics ,cute panda bubbles. 2. Over hundreds well-designed levels, each level has a different challenge. 3. The special bubbles will make it easier for you to pass through levels. 4. No time changing limit ,also you can play at any time and any where. New panda bubble shooter tale with amazing adventures.